Giving out awards to its members for diverse types of achievements is very important for the SAREM, as a way to recognize and encourage research in mammalogy, training of new mammalogists and services to society as a whole, and awarding such distinctions is the task appointed to the Awards Committee. The applications will be evaluated by this Committee, and the applicants shall send an email to the person in charge. The application deadline is September 20 of the current year. To establish the diverse types of awards given by the SAREM. To set the guidelines for each award type. 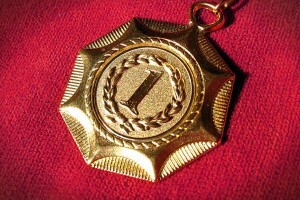 To carry out the actual selection among candidates and awarding the prizes. This Committee will have a director or member in charge, and four additional members. All members of the committee shall be SAREM members (within the Professional category), and their designation shall be approved by SAREM’s Directive Board. Members of this Committee will have a two year mandate, after which they will be replaced, with new candidates being proposed by by SAREM’s Directive Board. Alternatively, the latter may choose to extend the mandate of a member for an additional period. Because the continuity of the spirit and guidelines that inspire these awards is fundamental, members of this Committee will be replaced alternately, to ensure the presence of experienced members at all times. Therefore, and by way of an exception, by the time the Awards Committee management begins half of its members will have been in office for a three-year period. The new director or member in charge will be designated by the Directive Committee, and will be chosen from among those members who have already participated in the committee for at least a year. awarding the SAREM Prizes, which at present consist of the Cabrera, Reig, Massoia and Kravetz Awards, and coordinating with the Local Organizing Committee of each yearly Meeting (Jornadas Argentinas de Mastozoología, or JAM) the evaluation and selection of candidates for the awards corresponding to this event (see below). Further information on these Awards can be found here. Calling for submission of nominations each year, according to schedule. Reviewing and evaluating submissions. Awarding the prizes during the Society’s Annual Meeting (Jornadas Argentinas de Mastozoología).